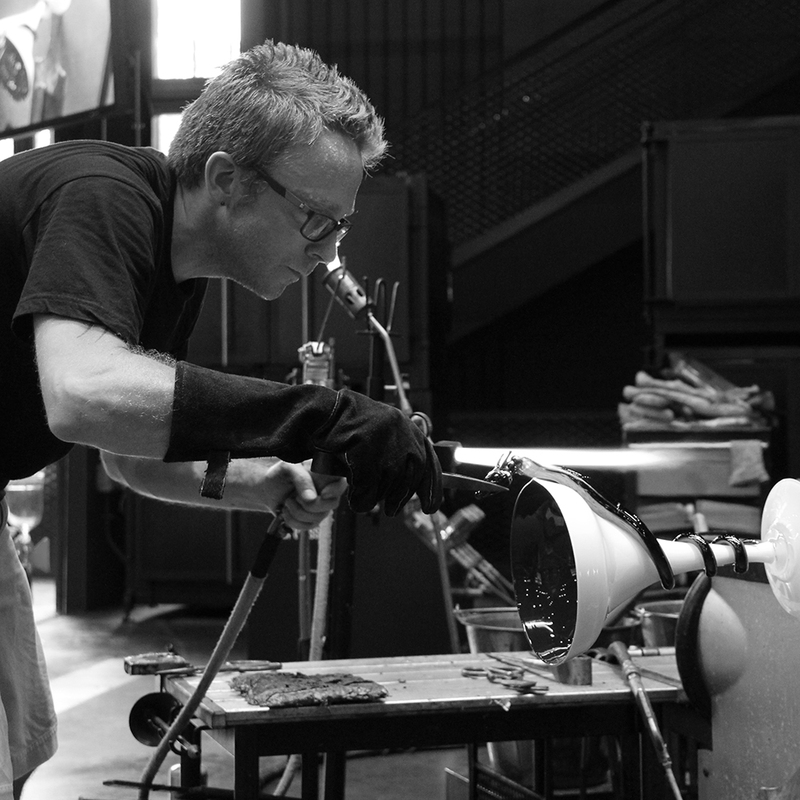 See guest artist and Hot Glass Demo team member, Chris Rochelle in a live, narrated demonstration in the Amphitheater Hot Shop on June 2 from 6–7:30 pm. A graduate of Hartwick College, Chris spent several years as an apprentice in a glass studio in Western Massachusetts and later working as a gaffer for Steuben glass here in Corning. Of glass, he says “I thrive on the constant attention it demands to push the boundary between fluid and solid state." This demo is included in the cost of admission (kids and teens 17 and under are free). Chris Rochelle’s path as a glass artist traces back to Hartwick College, where he studied sculpture and painting. The school’s small glass program gave him his first taste of working with this unique medium. Upon graduation, he apprenticed in a studio in Western Massachusetts.